We help take the stress out of the buying process for your next move by listening and providing information so you can make informed decisions. Since we know our Coastal Virginia neighborhoods and inventory inside and out, we save you valuable time and energy. We know that you need a consultant, not a salesperson, when you’re buying a home. 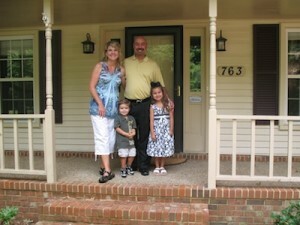 Our goal is to help you find the right home, and we work diligently until we make that happen. We have strong relationships with other real estate agents, both within Rose & Womble and beyond, so we may have information about listings before they hit the MLS. As a collaborative group, we have made strategic efforts to participate in different community and professional organizations in Coastal Virginia. When you work with one of us, you benefit from our diverse resources. When you find that special home you can rest assured you’re in good hands. All offers are not created equal. We’ll help you put your best foot forward by working with you to create an offer that will give you the greatest chance of success. We negotiate hard on your behalf to ensure your interests are protected. It’s important to work with a reputable lender for your new home purchase. We have developed relationships with numerous local bankers and mortgage brokers who are honest, patient, competent and responsive. It’s a good idea to shop around to find someone you feel comfortable working with and whose goal is to close on time.